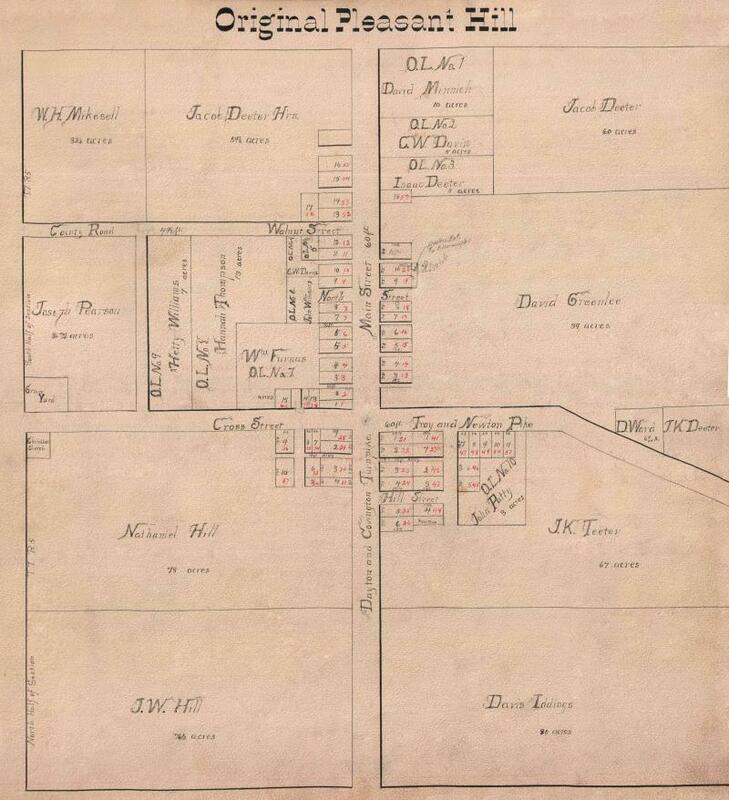 In 1843, the town of Newton was platted on the land originally owned by John Reed. 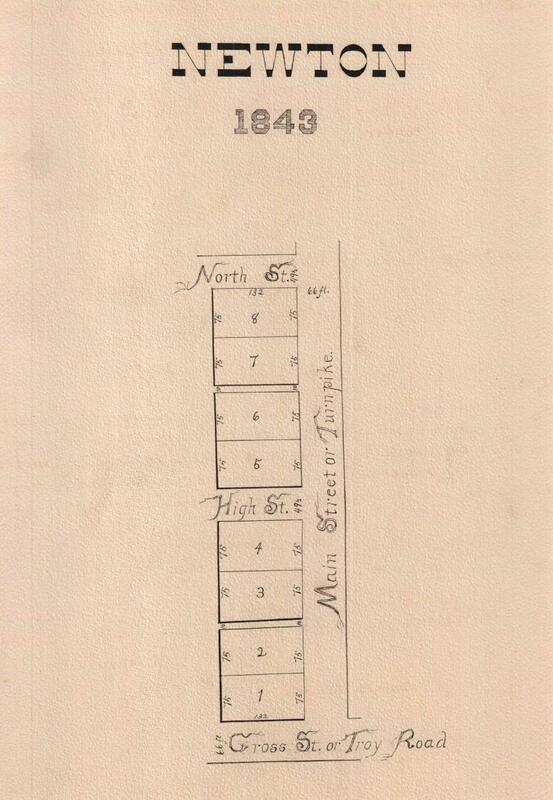 J. K. Teeter, C. Long, and Nathan Hill purchased the land and had it platted by James Hank. The first house was built in the new town was a small frame by Samuel Coate, who used it for both a store and a dwelling. John Whitmer started a second store and did a flourishing business. He was named as a postmaster, serving from 1850 to 1855. Mr. Teeter was the third storekeeper, continuing in trade until 1867. The first blacksmithing was done by Abraham Whitmer in the village, but as early as 1837, John Howard was known as a blacksmith in the County. In 1820, David Patty arrived became a practicing physician and continued for twenty years. Dr. Aaron Steinberger was the second. The first post office was located one mile south of Pleasant Hill on Cox Road. It was in a general store belonging to Mr. Hill. this location was on a hill and was a pleasant place, therefore the Post Office was named Pleasant Hill. The postmaster was Thomas Jay. In 1840, the Post Office was moved to Coppock’s Mill, near the Fenner Road Bridge. 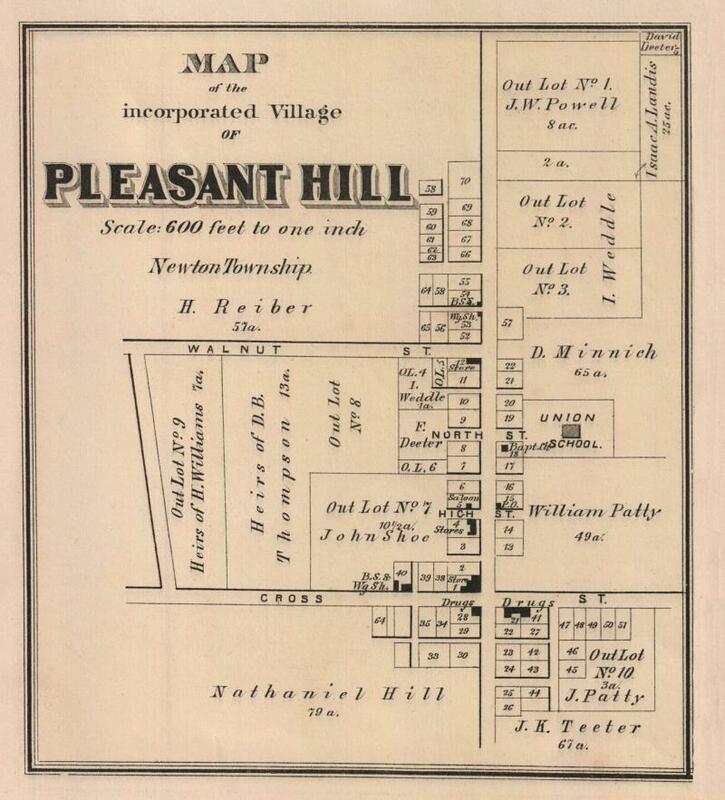 The Post Office was moved into the village in 1850, and when the village was incorporated in 1866, it was decided to change the name of the village to Pleasant Hill. John Whitmer, Sr. became the first postmaster of the village of Pleasant Hill. 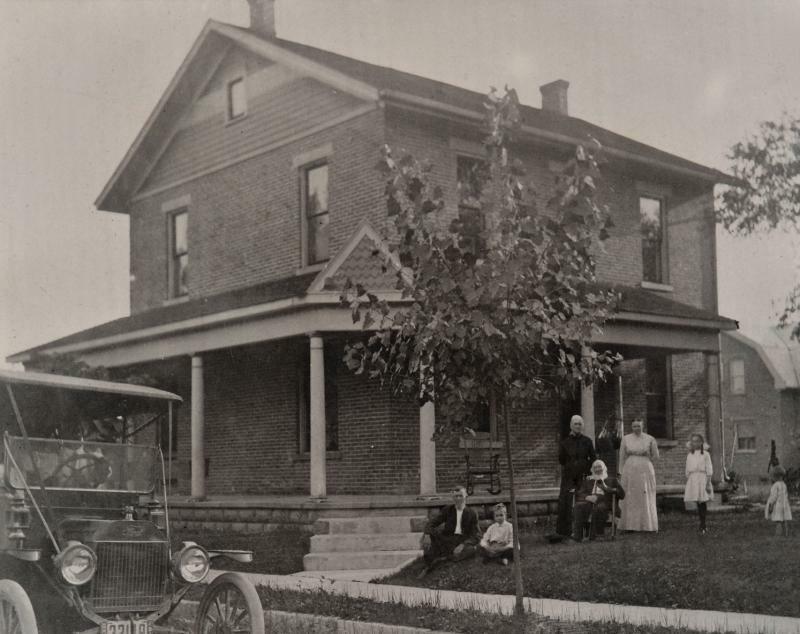 The first school in Pleasant Hill was located on Church Street. In January of 1875, it was decided to erect a larger building. The building contained 6 rooms with a hall on the third floor capable of seating 300 people. Horatio Pearson was the first superintendent. In 1880, the first commencement was held. However, the Board of Education granted diplomas to the class of 1879 and named them as the first graduating class of Pleasant Hill.